"De Landerij" is set in the village of Scherpenzeel in the province of Friesland, close to the natural reservates "De Weerribben", "De Wieden" and the "Rottige Meenthe". 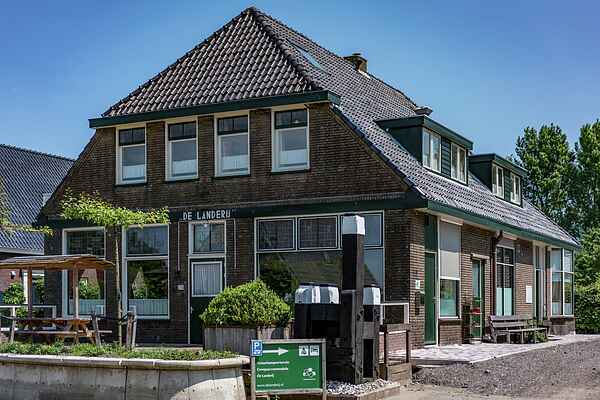 "De Landerij" can welcome 22 persons and is also equipped with a bar, to spend some cosy evenings together! From the "Landerij" you can directly hop on your bike or in your canoo and it is alo possible to take a boat trip. A beautiful fishing spot awaits you not far from the house In other words, a great group accommodation in an excellent location with plenty of activities around!